The sunset was beautiful Friday night. Since I didn’t had my camera with me at work, I first had to fetch it. Once at the dock, the nice sky was already gone. Too bad. 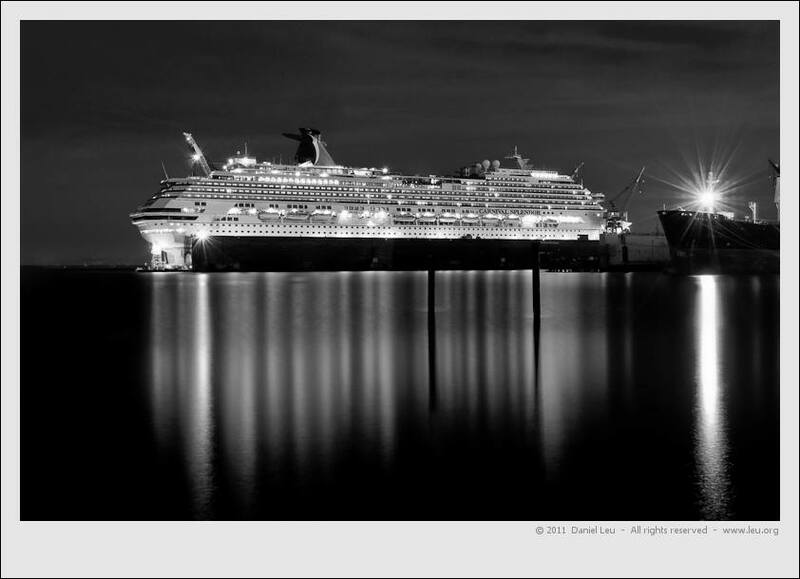 Still, I think that this black&white image of the Carnival Splendor cruise ship with the lights reflecting in the sea turned out well. I have already scouted some more spots to get a shot of this huge cruise ship. It seems like the repair job soon will be complete. I better hurry. Stay tuned.